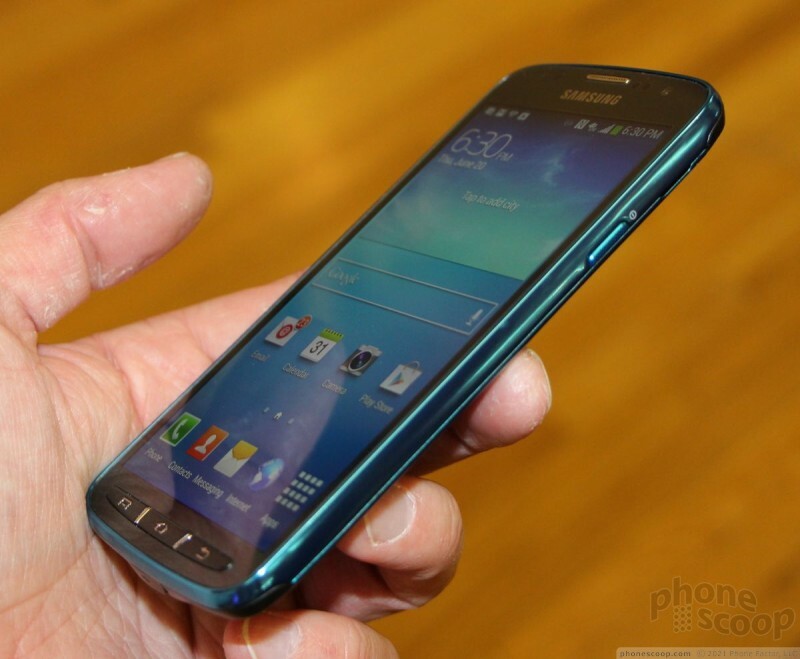 Samsung had on display in New York today the Galaxy S4 Active. 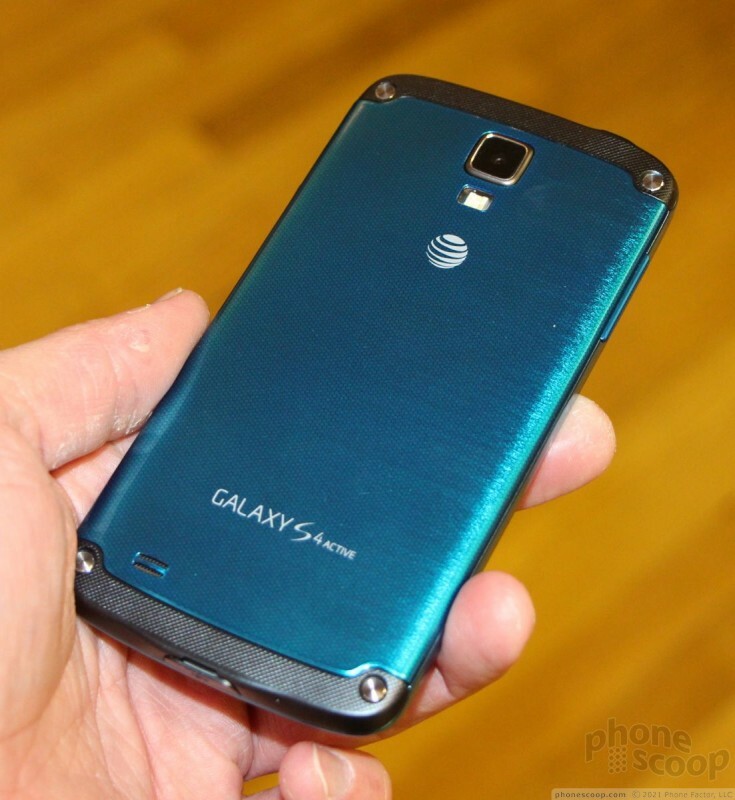 The Active is of course a semi-ruggedized version of the Galaxy S4. Most of the specs are the same, only it is housed in a slightly more robust shell. Here's the deal. 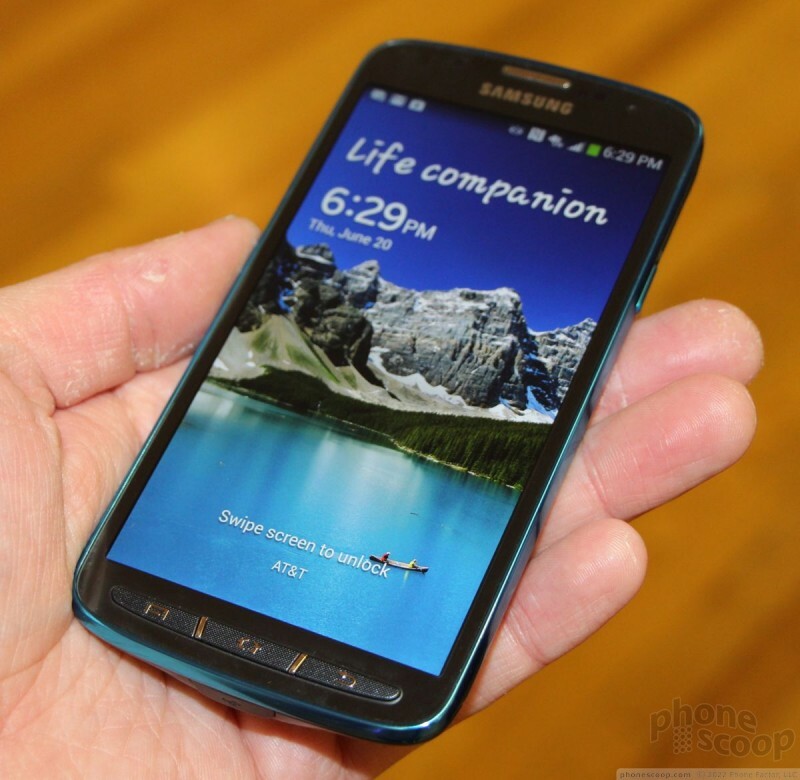 The GS4 Active is only moderately different from the standard issue model. 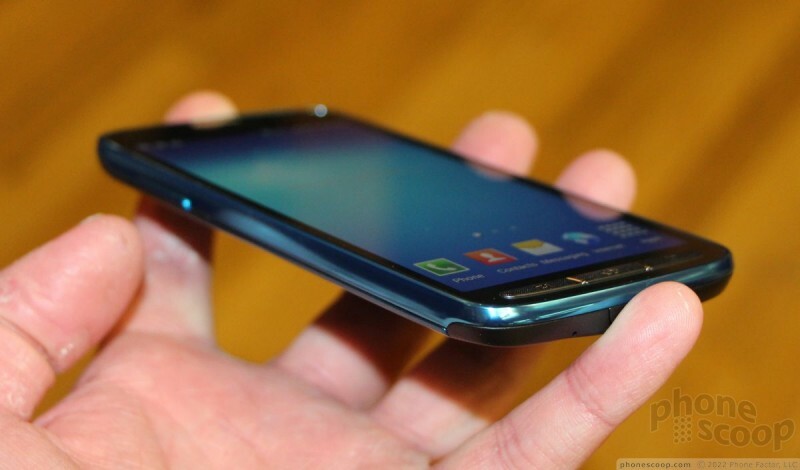 The casing has more bulk, but that's not saying much considering just how thin the GS4 is. 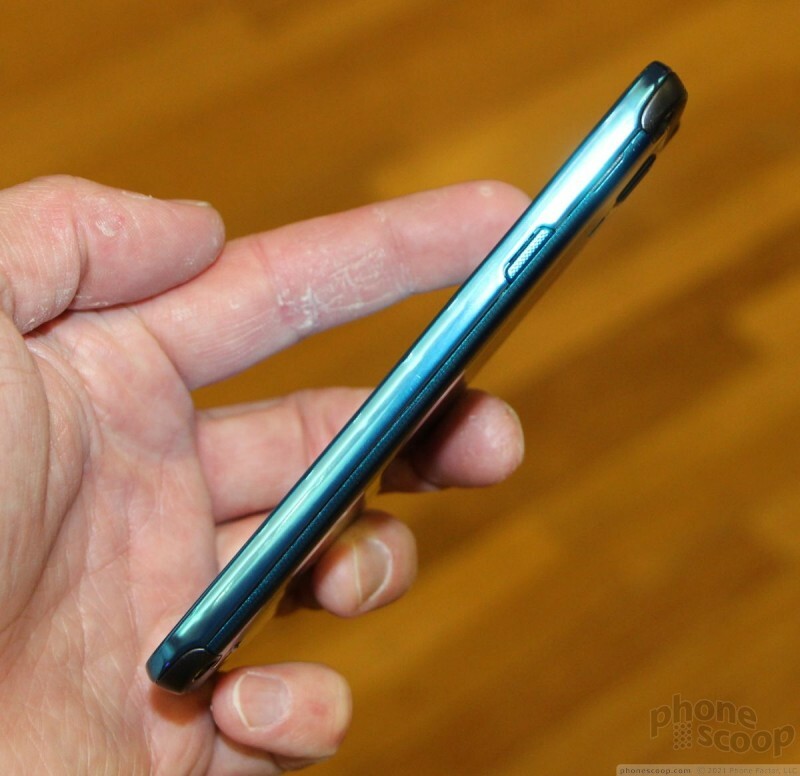 The Active has a thicker rear cover and a new assembly at the top and bottom ends of the device holding everything together. 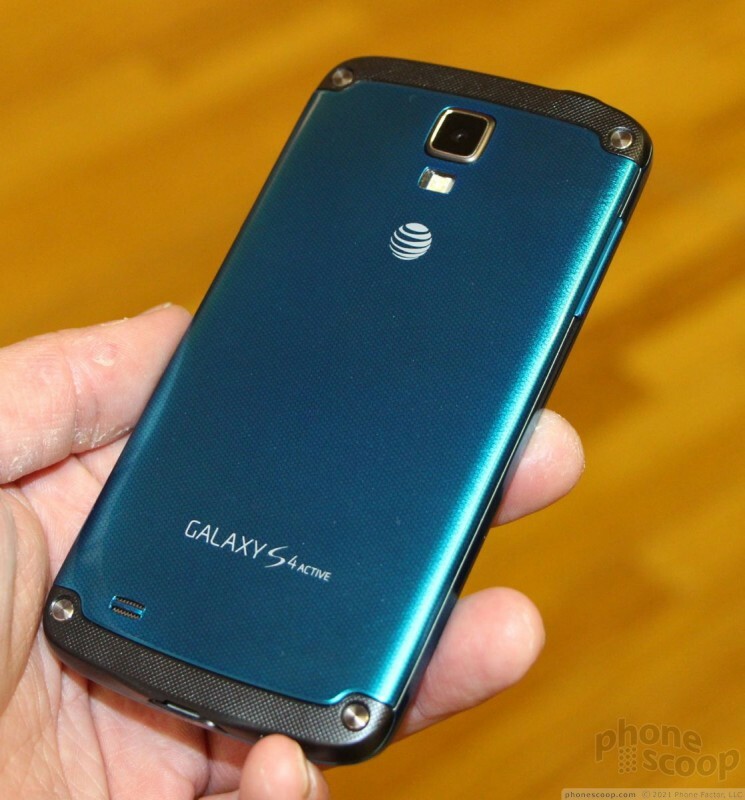 Where the GS4 is sleek and thin, the GS4 Active is only a wee bit thicker and more robust. It feels nearly the same in the hand. 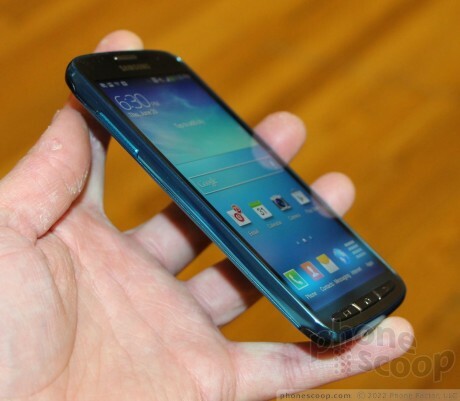 Samsung had a blue version on hand that I really thought looked good. 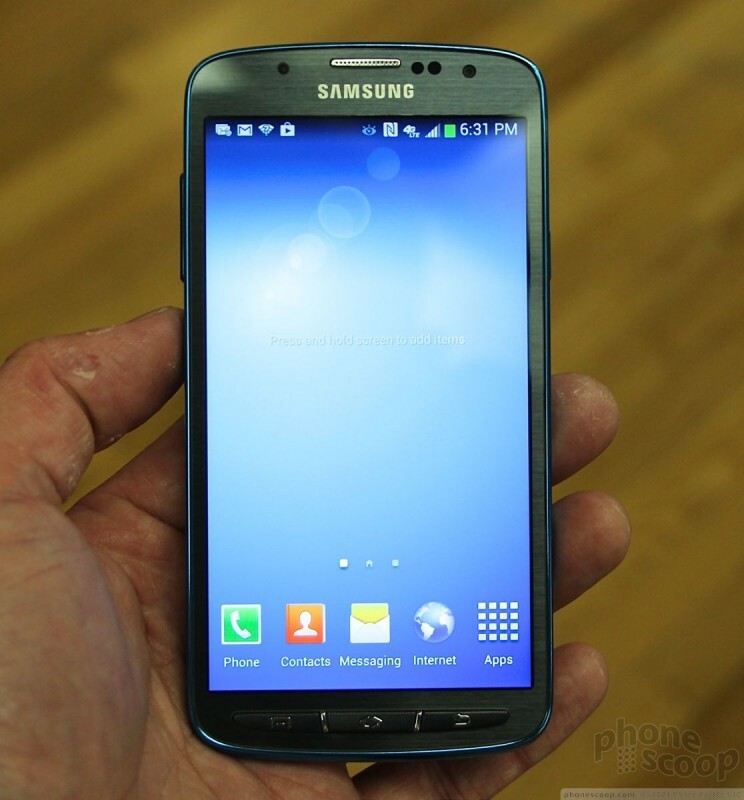 The biggest and most noticeable changes are on the front of the phone. 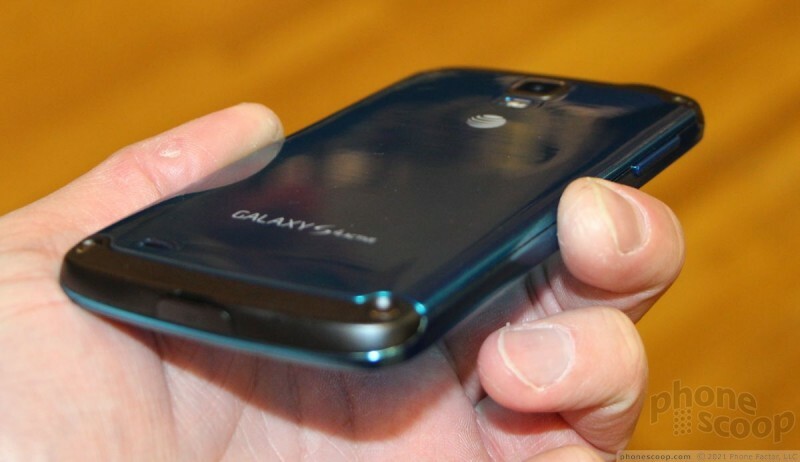 The GS4 Active has three hardware buttons, where the regular model has only one. 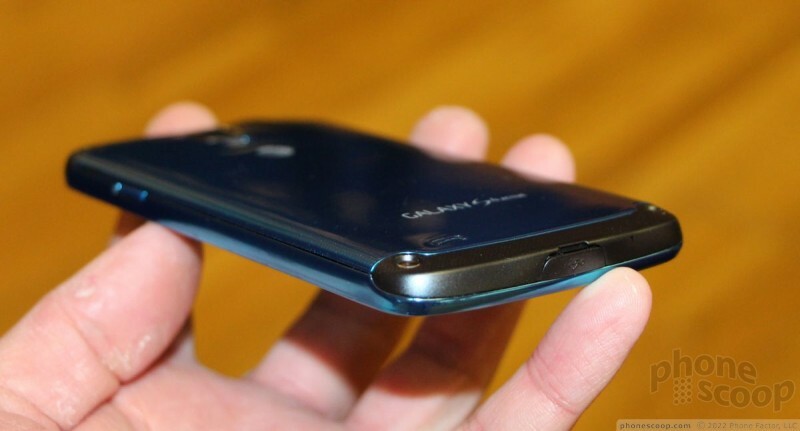 The Active has physical back, home and menu buttons. All three are easy to find and use, and have excellent travel and feedback. I'd say having the three physical buttons will be more appealing to some than the capacitive / physical setup on the regular model. Otherwise, the rest of the controls and buttons are the same. 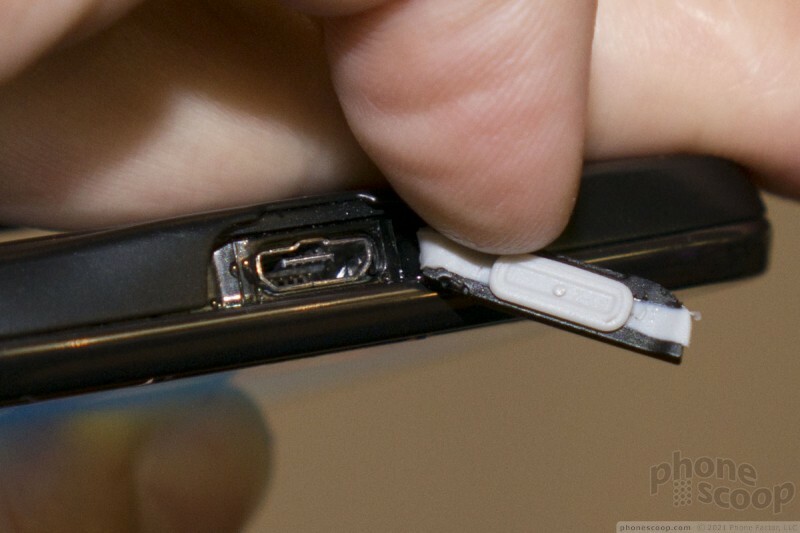 There are hatches to protect the ports, and the battery cover latches on tightly. 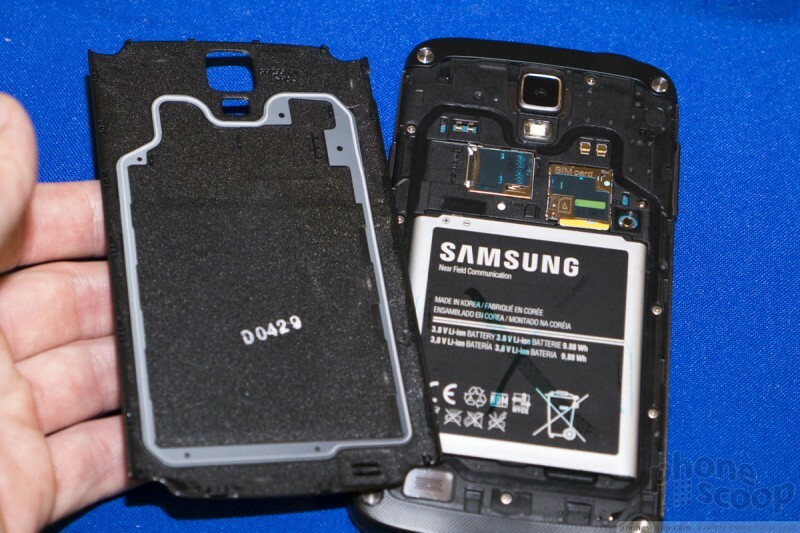 When removed, you can see that the battery cover has a gasket meant to help keep water and dirt out of the innards. The Active can withstand up to 30 minutes under three feet of water, not to mention a day at the beach. 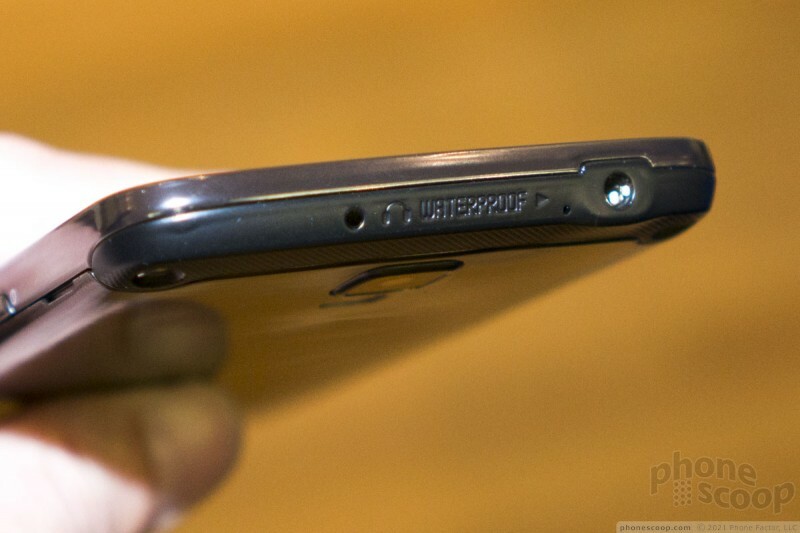 One interesting feature that the GS4 Active has is dedicated underwater photography features. The camera software has a mode that's been fine-tuned to produce decent photos when the device is submerged. Don't expect to be able to take it on your next diving expedition, but it will survive an afternoon and the local pill. The screen is the same, most of the software is the same, and the overall performance of the device was the same as far as we could tell when compared to the regular model. 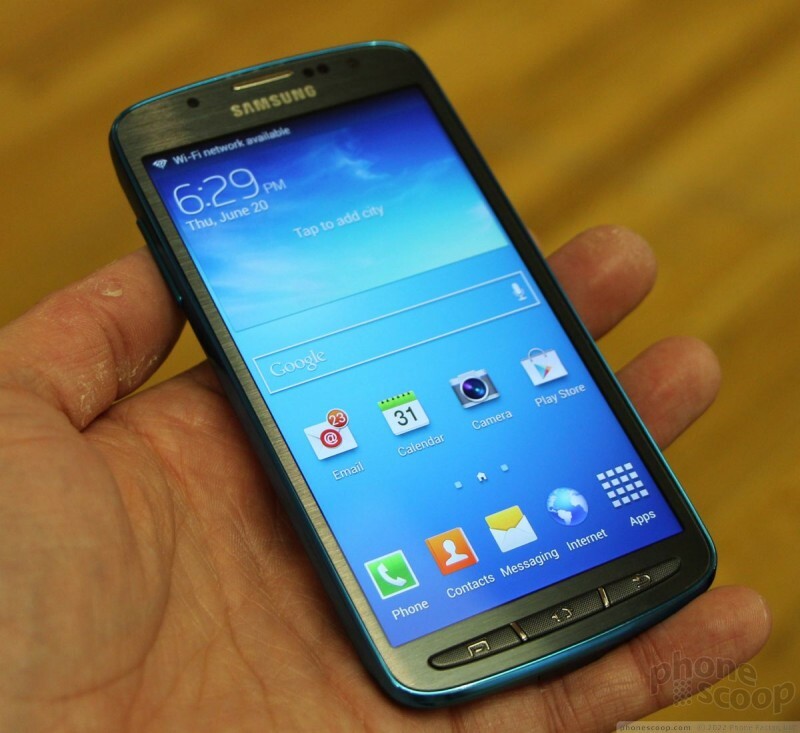 Will the GS4 Active sell well? Given its attractive looks and more substantial build, it is sure to be popular with the active user set. I think the qualities of the active may overpower the need for a 13 megapixel camera. thoughts? Depends on the individual if your job requires you to be surrounded by water all the time (pool guy, lifeguard, etc.) 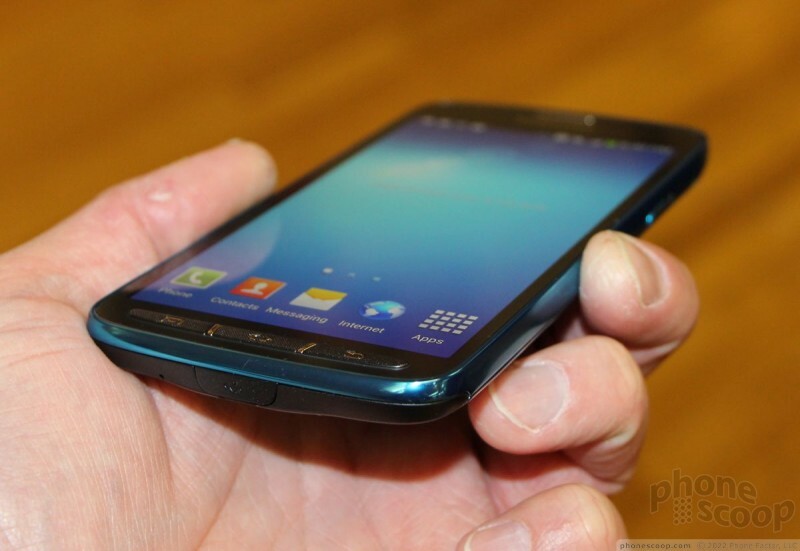 this phone would be perfect for you.